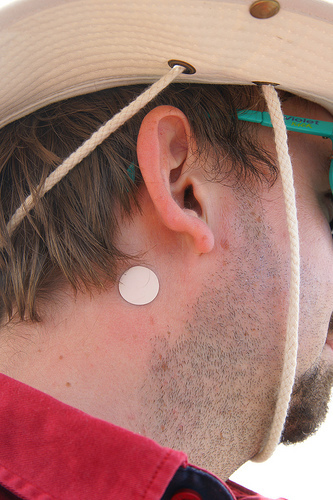 Transdermal patches were approved by the FDA and first marketed in the early 1980s. They have advanced significantly since then and are now available to treat a limited variety of conditions. Most of the patches work in the same general way: Medicine is applied to the adhesive side of a patch that is placed on the skin and the active drug is absorbed through the pores in the skin and directly into the bloodstream. We all have heard of the patches that are used to control nicotine delivery for people trying to quit smoking, but patches are now available for treating motion sickness, nausea, depression, high blood pressure, angina, menopause symptoms, and even attention deficit disorder and Alzheimer’s disease. These are all areas where controlled, time-release dosage makes sense. 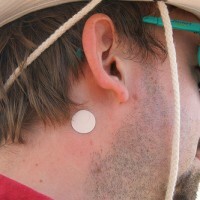 In cases where patient compliance is an issue, patches may help since pills don’t have to be taken at regular intervals. In fact, patches have some significant advantages over the conventional tablet. One important advantage is that the dosage can be controlled over time. Conventional pill medication, once through the digestive system, releases medicine rapidly and produces an initial high concentration that then falls off rapidly. So, we have a combination of a high concentration initially that may produce side effects, and then a low concentration that may not be as effective in treatment. The controlled release of medication, for example with a patch, can lead to more constant levels of medication. Medicines can be released over hours, days, or even weeks. Another advantage is that since the medicine doesn’t pass through the stomach and liver, patches are less likely to cause interactions with food and reactions of nausea. Of course as with any alternative there are some disadvantages. For example, as you might expect, patches may cause skin irritations or rashes. The patch performance may also differ from person to person —mostly because different fat levels influence skin absorption rates. However, probably the biggest drawback of patches is that only a limited number of medicines are available. Drugs with molecules that are too large to be absorbed through the skin will not work as a transdermal patch. Insulin is one example of such a medication, many antibiotics are another. Currently there are about a dozen drugs that have been approved by the FDA for use in patch form, but new advances are sure to add to this number in the coming years. Just in the last 25 years, the technology has come a long way. Who knows, in the not too distant future, perhaps modern day pills and tablets may be going the way of the spirits and powders of the 19th century.